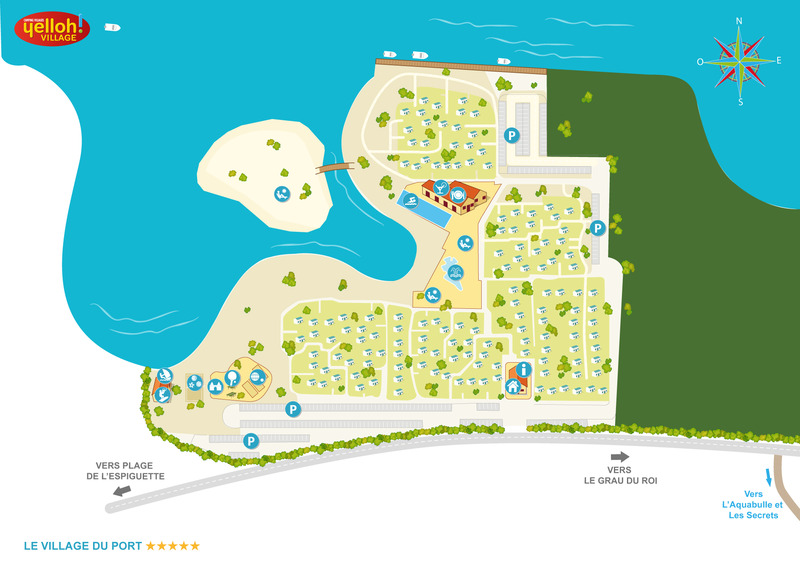 At the Village du Port you’ll be able to discover our on-site watersports centre, perfect for all those who love getting out on the waves! So why not try your hand at kitesurfing or stand-up paddleboarding with the whole family... An excellent way to share a fabulous moment all together whilst simply having fun! And why not head off to the heart of the village to enjoy all the amusements and activities offered by our entertainment team? What better way to spend some really special family time? Games, beach volleyball, beach soccer, pétanque, table tennis... Fun and conviviality for all! And come the evening you’ll be spoilt for choice: twice a week in low season and 4 times a week in high season, the restaurant Le Yacht welcomes you to the cosy, confidential ambiance of its piano-bar... Simply sublime! On foot or by bike, take a journey through the heart of the Camargue at its wildest, with its flamingos, white horses, bulls, salt mounds, sand dunes and Mediterranean coastline... Enjoy paddling your canoe? Don’t miss a trip down the Gardon and glide under the Pont du Gard, the incredible Roman aqueduct on 3 levels! If you prefer a more urban environment, there is no shortage of attractive towns rich in character waiting to welcome you: Montpellier and its cobbled streets, Nîmes and its Maison Carrée, Arles and its arenas... There’s also Le Grau-du-Roi and its fishing village... During the summer season you might even have the chance to watch a genuine Course Camarguaise, a game of skill that matches man and bull but rest assured, no blood will be spilt! Tradition at its best!